Banglalink SIM All Service Codes Here! Banglalink is a most popular telecommunication company in Bangladesh, visitor’s today I here with you Banglalink most common USSD codes. I hope this article will help Banglalink customer because this is an article I will show ubiquitous services activation/ deactivation USSD code. If you follow this page you will get Banglalink most common service USDD Code, we have added the code below consistently, just read this content. How To Get Banglalink Emergency Balance/ Loan/ Advance? How To Check Banglalink 4G? ● To check your BL 4G SIM, just Type 4G send it to 5000. How To Get Banglalink Emergency Internet Balance? How To Activate Banglalink Internet? How To Check Banglalink SIM Number? How To Activate BL Call Waiting Service By Dialing Code? How To Request Call Me Back? How To Make Call Divert On Banglalink? How To Request for Internet Settings? How To Stop BL Promotional SMS? How To On/Off BL Miss Call Alert Service? Banglalink All Balance Check Codes? 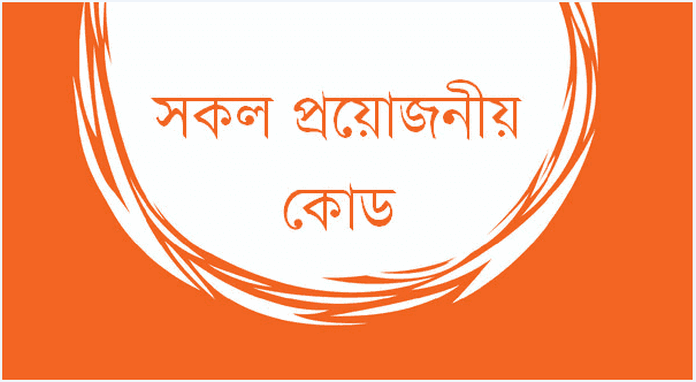 ● Banglalink Complain number, 158 (Toll-free) All Banglalink prepaid and postpaid customers can complain. Note: If you need any kind of information of Banglalink, please call BL customer care or comment us if possible we help you. Thank you so much for the stay with us a long time and reading this post, if you help this post, please share this post any social media. ?